With the first few days of filming now complete, we thought it was time to introduce you to some of the main cast. Leo Ashizawa is Dr. Takashi Nagai. Leo is an actor with great screen presence and charisma. Two qualities that help make him so well suited to the role of Takashi. Check out Leo’s personal website here. Yuna Shin is Midori Nagai. 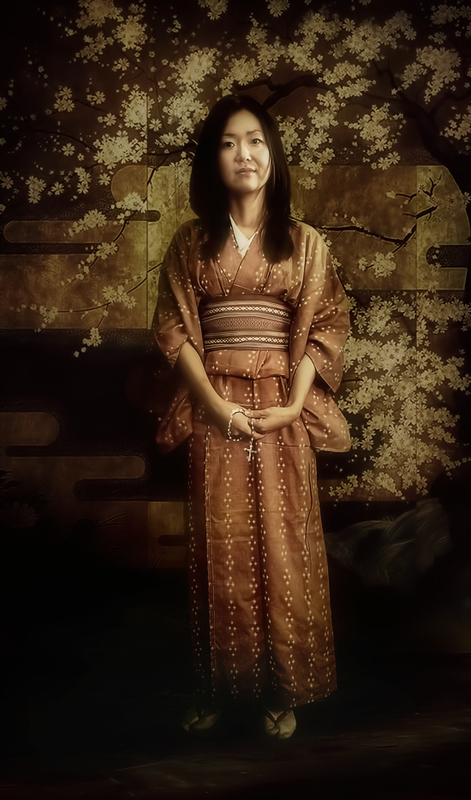 From her first audition, Yuna seemed to be the perfect choice for the role of Takahi’s faithful wife, Midori. Yuna brings a great emotional depth to the role. Check out Yuna’s website here. Meg Kubota is Tsumo Moriyama. Meg is a very experienced actress who brings a great a presence to her role as Midori’s watchful mother. She is an actress who is capable of producing beautiful subtle performances. 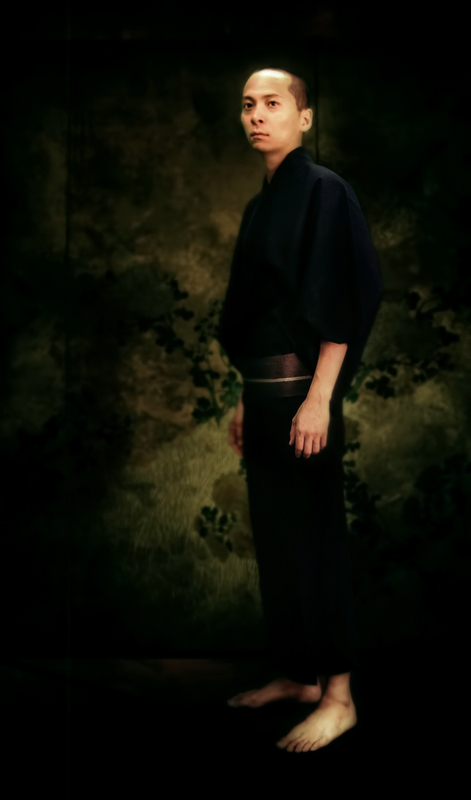 Dai Tabuchi is Sadakichi Moriyama. From the moment we first saw Dai perform at the audition, we knew he would be perfect for the role of Midori’s father, a man who exudes warmth, compassion and sensitivity. 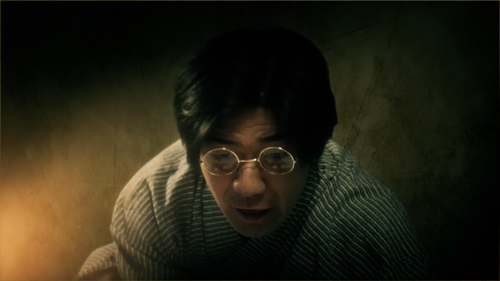 Junichi Kajioka is Professor Suetsugu. Junichi is an actor with lots of experience under his belt, having starred in the recent Chinese blockbusters City of Life and Death and Flowers of War, with Christian Bale (check out directors Ian and Dominic Higgins’ review of City of Life and Death here). 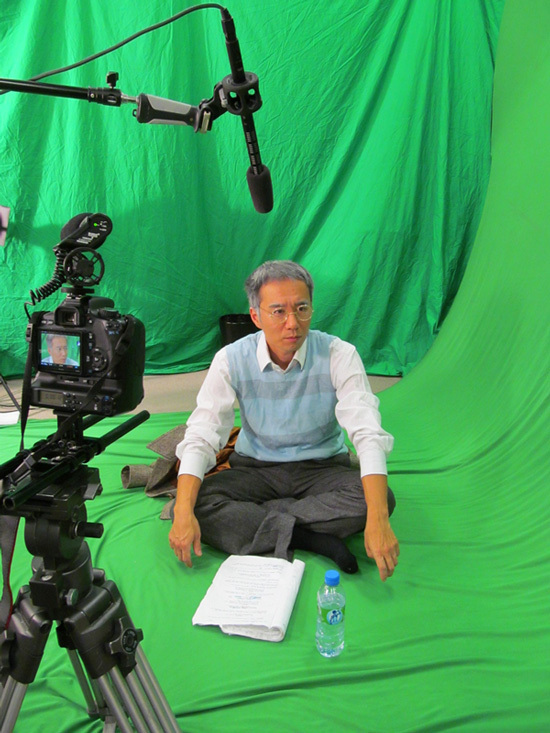 With his tireless enthusiasm, he was not only great fun to have on set; he also created a very memorable professor Suetsugu on camera. We were also very lucky to be able to have the chance to work with up coming actor Tanroh Ishida who, having not long finished work on a new Keanu Reeves movie and a Cameron Diaz/Collin Firth vehicle, is just about to head off to Hollywood yet again, to test for another major new feature film. There are many more great actors involved in this production, of course, and we’ll be introducing those in a future blog – so be sure to stay tuned! With a filming schedule that will run into November, there’s a lot of work ahead, but directors Ian & Dominic Higgins are very excited with how things are shaping up. “We’ve captured some great performances so far and we’re looking forward to sitting down and watching back over it all, while we prepare the next shoot”, explains Dominic. “We now know for sure we have the right cast for the parts, and look forward to the rest of the filming”, adds Ian. Thanks Kay – and also for all your amazing work!